Tobago - A Tropical Garden With Beaches, Carnival And Soca! Tobago is a small island in the Southern Caribbean. It is the smaller island of a twin island nation - that being the nation of Trinidad and Tobago. 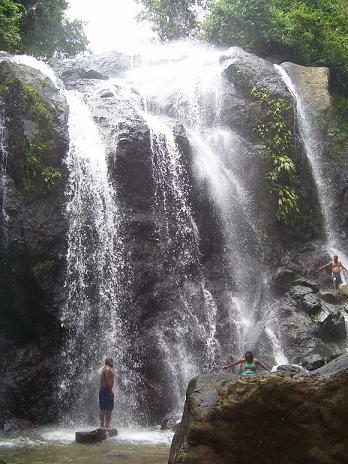 Whereas Trinidad is highly industrialized, Tobago is special for its natural and unspoilt beauty. It is a tropical garden with exquisite beaches, Bucco Reef, calypso and soca. Also, the weather in Tobago is ideal with temperatures ranging between 74 degrees and 84 degrees year round. Trinidad and Tobago are uniquely positioned geographically in the Caribbean south of the regular hurricane belt. Since hurricanes generally form in the Atlantic Ocean and then head north, Trinidad and Tobago are usually spared the wrath of the hurricanes that ravage the West Indies, Central America, Florida and other southern states in the USA. The last hurricane to hit Tobago was hurricane Flora in 1963.
its low crime rate, and the easy friendliness of its people. Even though Trinidad and Tobago are an oil rich nation, most of it being produced in Trinidad, Tourism has become a burgeoning business in Tobago. Tourist ships put in their daily appearances during the tourist season - the North American winter and spring- and jetliners make their all year flights directly to the Island from countries around the world, especially the USA, Canada, England and Germany. What is even a greater and more telling testimony to the unique and rich cultural diversity, the natural and ecological beauty of the island, and the good quality of life is that many visitors are repeat visitors. Many even choose to make Tobago their primary home or a second home. As a result, property sales have skyrocketed from one end of the island to the other - from Crown Point to Charlotteville. In addition to the world famous carnival of Trinidad and Tobago, Tobago boasts of its sole claim to other functions like “The Jazz Festival” where artistes from all over the world come to perform, and its “Heritage Festivals”. Tobago Guest Houses in Store Bay, Crown Point, Buccoo, Scarborough, Bon Accord, Lowlands, Baculet: photos, price, pictures, rates, rent, pools - cheap listings in Trinidad and Tobago West Indies. Tobago house Rentals during Caribbean travel provide a cheap alternative and cheap holiday in Tobago - accommodation	for vacation rentals, villas for rent , vacation homes or apartments. Tobago Accommodation - holiday and vacation accommodation in Trinidad & Tobago, apartments and house rental on Crusoe's isle. Tobago land for sale - Tobago land and house for sale, Tobago land development, Tobago land real estate, Tobago land registry, Tobago land use, Tobago property, properties, prices. Caribbean Real Estate - affordable caribbean real estate, island real estate property, caribbean real estate market, beachfront homes, trinidad properties, Tebago homes for sale, Tabago Caribbean. Island Weddings - island locations of beach wedding, romantic wedding packages, wedding reception, wedding on island, wedding planner, wedding pictures, Tobago vacation packages, ocean weddings. Tropical Weddings - unique reception ideas for party, villa wedding, bridal beach, tropical themed, best wedding destination theme, tropical destination weddings and tropical flowers weddings. University Scholarship - Trinidad and Tobago government scholarships, college scholarships, scholarships for high school seniors, gates millenium scholarship, fulbright scholarship, 2010. Charlotteville Methodist is Government assisted and equipped society with many prolific scholars in the political, medical, business, agricultural, religious and sporting fields. Trinidad and Tobago news about carnival 2011, airport, airlines, beaches, jobs and consulate. Information sources include Newsday, Express and the yellow pages. Construction in Tobago - general construction company of block or frame building. Contract estimator of cost, bid, on jobs for new construction of hotels, homes, office and heavy construction. Tobago Construction Company - construction companies, the company, list companys names, general, commercial, international, major home construction company website, best leading island residential. Honeymoon Island - hottest top rated honeymoon destinations in the Caribbean, best of the Caribbean romantic resorts, and travel, honeymoon, vacations and wedding locations. Honeymoon Destinations - Caribbean destination weddings, luxury beach resorts, romantic getaway, best honeymoon package deals, cheap couples travel honeymoons, family vacations. Ecotourism in Tobago is defined by eco lodge resort, green tourism, activities, travel guide, cottages, destination, retreats, tour, tropical resorts, trips, cabins, hotels, adventure vacation. Tobago Flights - cheapest flights to Tobago, Tobago flights from Trinidad, Tobago to Trinidad flights, travel Tobago, travel Trinidad Tobago. Getting to Tobago - , cheap flights to Trinidad Tobago, flight to Tobago, flight Tobago, flights from Tobago, flights from Tobago to Trinidad, fly to Tobago. Tobago Port & Trinidad port - shipping and ferry ports, port information on ship port, cargo ships, international shipping terminal, Crown Point Airport, Charlotteville & Scarborough. Trinidad Trips to Tobago for sightseeing, tourism, nature tours, excursions, vacations, day trips around the island, weekend getaways as a holiday resort or for daily travel, beaches and water sports. Tobago News - tt news, Trinidad news, latest news in Trinidad and Tobago, Trinidad and Tobago breaking news, Trinidad and Tobago daily news, trini news, Trinidadian news, t&t news, carnival news. Tobago Newspapers - Tobago News newspaper, Trinidad newspapers, Trinidad Tobago Newsday newspaper, newsday newspapers, caribbean newspapers, trinidad and tobago newsday newspaper. Trinidad Tobago News - The UNC, COP, TOP coalition won the May 24, 2010 Trinidad and Tobago general election. Cheap Caribbean - cheap caribbean villas, travel, trip, resorts, hotels, vacation, cruise, trips, vacations,cheap caribbean packages, "cheap caribbean vacations","cheap caribbean cruises"
Best Tobago beaches - Robinson Crusoe Isle is an island which best beaches include Englishman’s Bay and Store Bay. Things to do in Tobago include diving, competitive fishing, sailing, boating, boat racing, surfing and visiting the coral reefs in Bucco and Speyside. Bucco Sunday School - Sunday nights’ entertainment at Bucco, Tobago and it is even bigger around Easter. Liming - Queen Latifah explains a lime or a hangout. Hangouts with friends or hanging out on the beach is called liming. 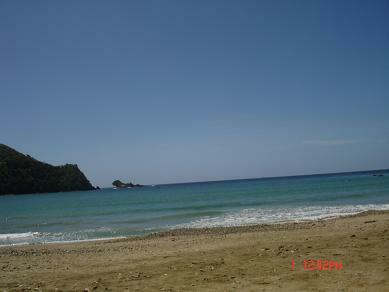 Tobago's Blog keeps you up-to-date with all additions and changes to the www.tobagosite.com Web site. Tobago guest houses rates are a cheap alternative to more expensive hotel prices. Guest house cost can include swimming pools, Jacuzzi and spa.